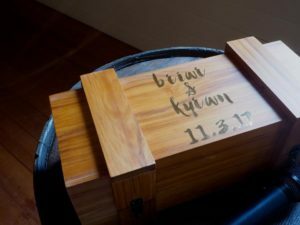 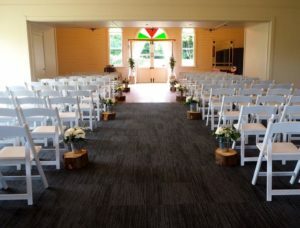 Latest Expansion Project Celebrates Its FIRST Wedding Ceremony! 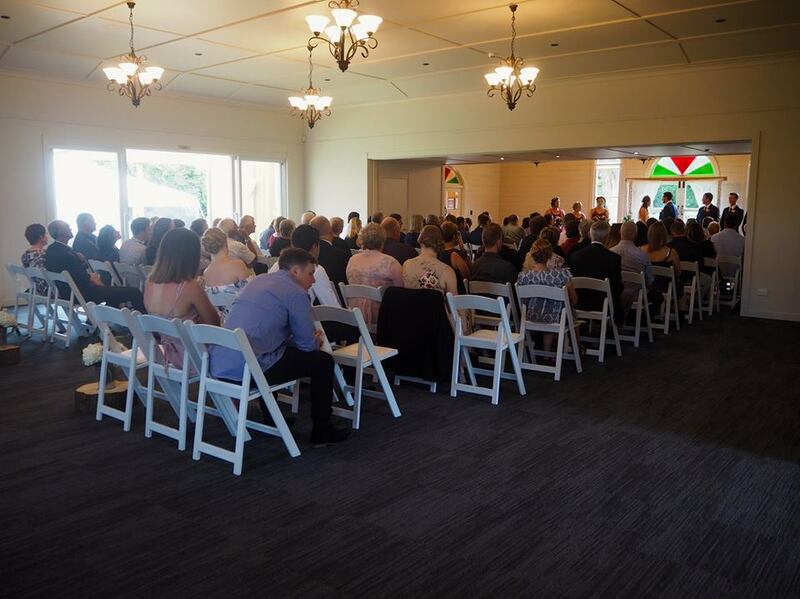 12 Mar Latest Expansion Project Celebrates Its FIRST Wedding Ceremony! 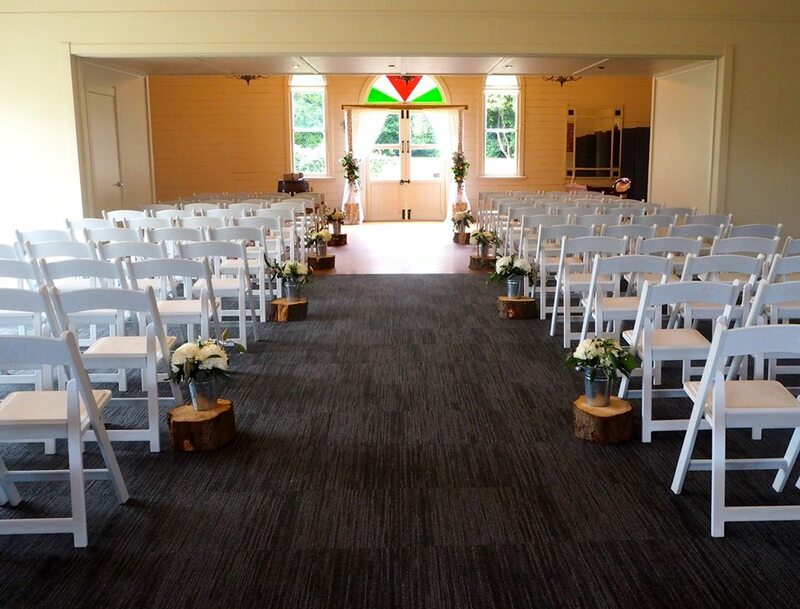 Who would have thought this beautiful setup for a wedding ceremony could be created at the 11th hour? 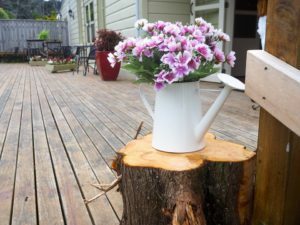 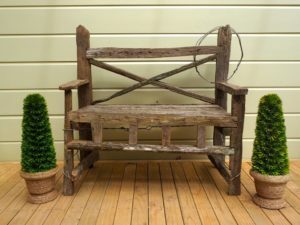 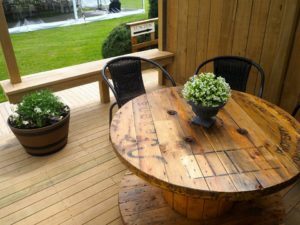 It was supposed to be a garden ceremony, held under the towering Kauri trees on Tairoa’s main lawn. However, Taranaki’s, ever changing weather this weekend determined the final outcome for Briar and Kyran’s Wedding Ceremony. 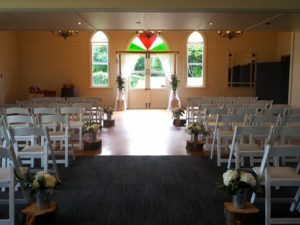 Once the decision was made to use the ‘wet weather option’ it was all hands on deck to create the perfect setting for their wedding ceremony. 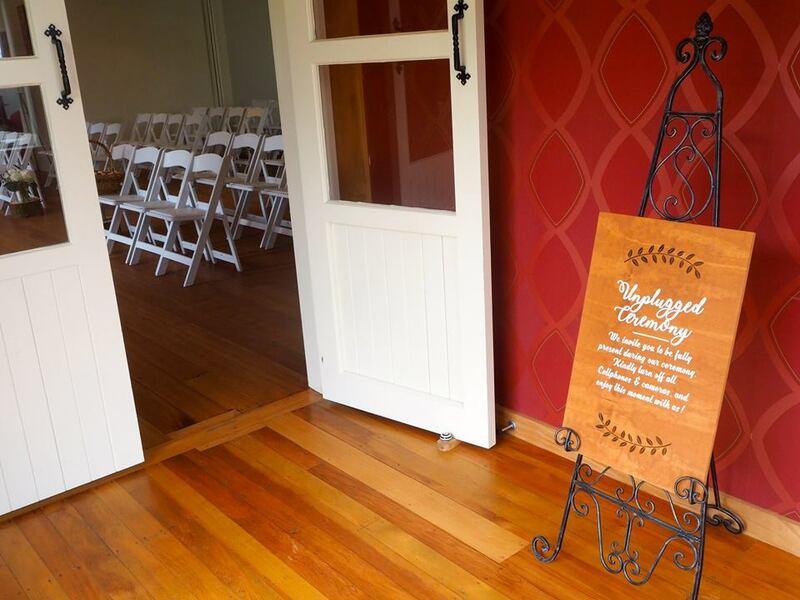 Chairs were set for 100 guests in front of the cathedral windows and french doors, leading into the new extension. 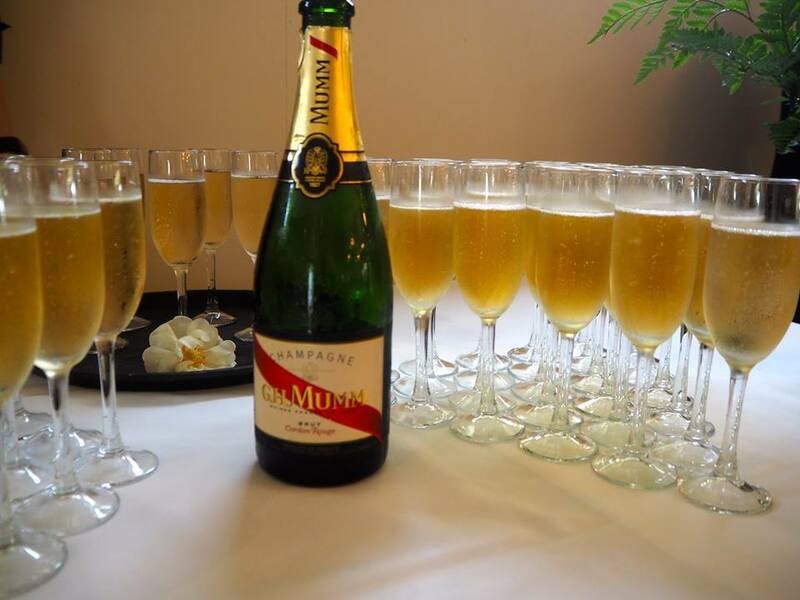 A celebration drink was served after the ceremony followed by canapes; blinis with a selection of toppings and hot chicken nibbles with lime aioli to guests whilst they mixed and mingled prior to moving into the marquee. 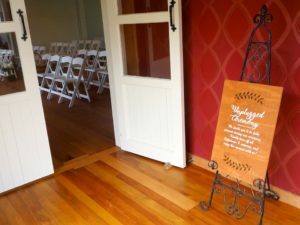 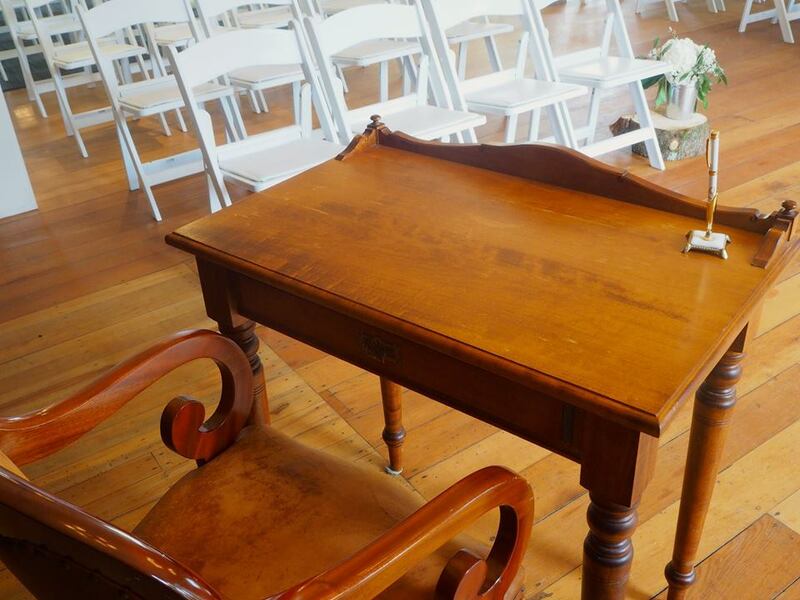 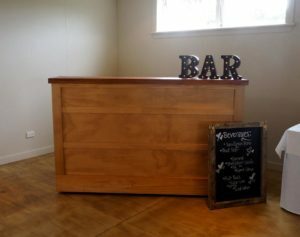 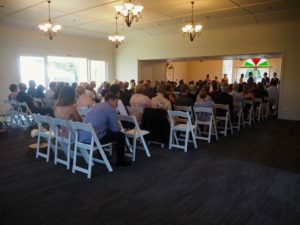 It was lovely to hear comments from guests how stunning everything looked and the Tairoa team loved that Briar and Kyran were so happy to exchange their wedding vows in Tairoa Church Hall. 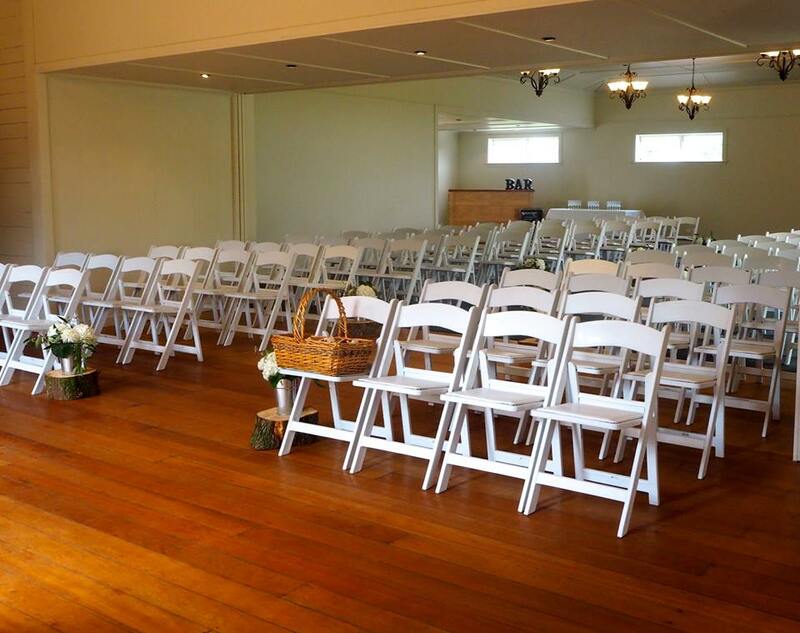 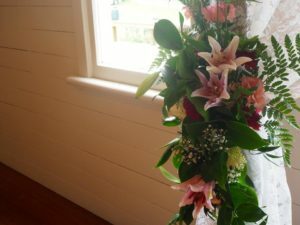 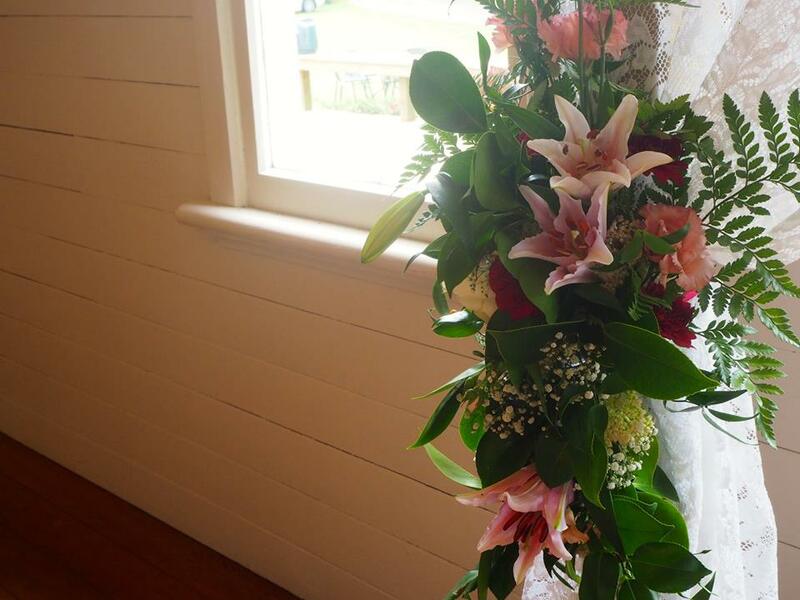 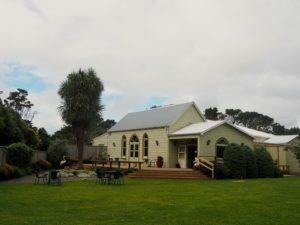 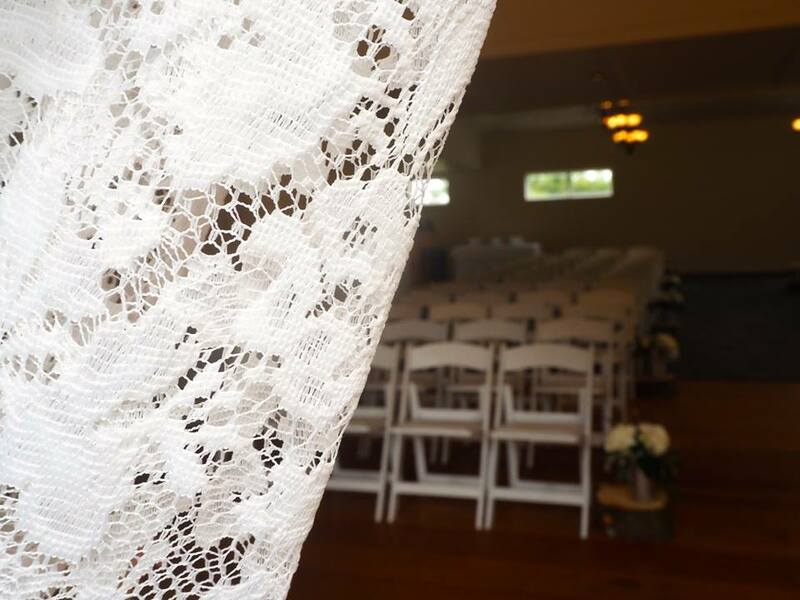 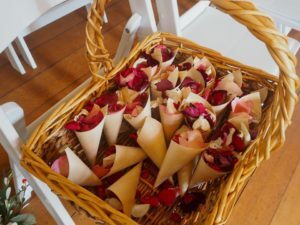 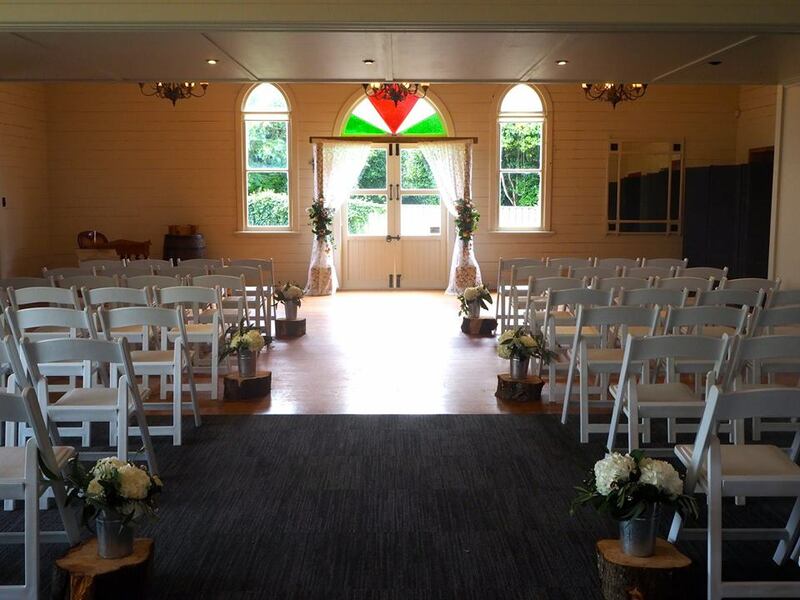 Tairoa Church Hall is the perfect venue for your wedding ceremony rain or SHINE!